Jeffrey A. Eyerman assists clients in resolving business disputes involving contractual matters, formation of businesses, tax compliance, commercial leases and purchase agreements, and various corporate matters. In addition, Jeff handles probate and estate cases, where he works to ensure that a decedent’s assets are managed and distributed efficiently. Jeff grew up in Lancaster, Ohio, and obtained a bachelor’s degree in psychology from Notre Dame in 2003. Following graduation, he worked for two years with a Notre Dame theater group and then enrolled in Notre Dame’s Law School in 2005. While in law school, Jeff worked as a research assistant for Professor J. Eric Smithburn and as a legal intern with the South Bend City Attorney’s Office. Jeff graduated in 2008 and joined The Behal Law Group in early 2009 before being admitted to the bar later that year. 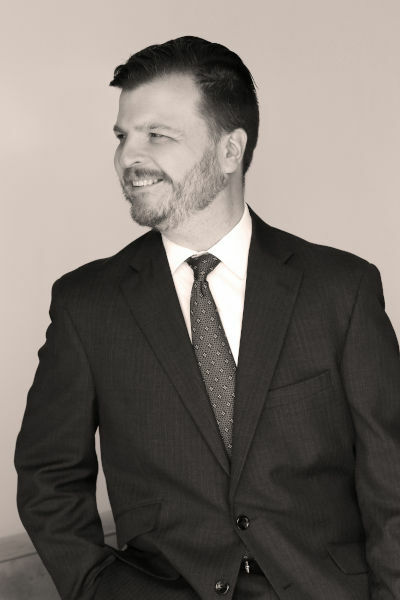 Jeff is a member of both the Ohio State and Columbus Bar Associations, where he is active on a number of committees. Jeff is also a member of the Knights of Columbus, Gahanna chapter, and lives in Gahanna with his wife, Anna, and their children.